SAILING: Gladstone multi-hull No Problem is the only yacht from the Harbour City to race in that category in the 55th Brisbane to Gladstone Multihull Yacht Race. No Problem commodore Marina Hobbs is part of the five-strong crew skippered by her husband Ray. Anthony Constance is the navigator while Sheldon Haines and Andrew Turnbull Miller complete the team. The 11.6-metre No Problem, which is a Schionning Waterline, is also owned by Ray Hobbs and the crew set sail south toward Brisbane last week. 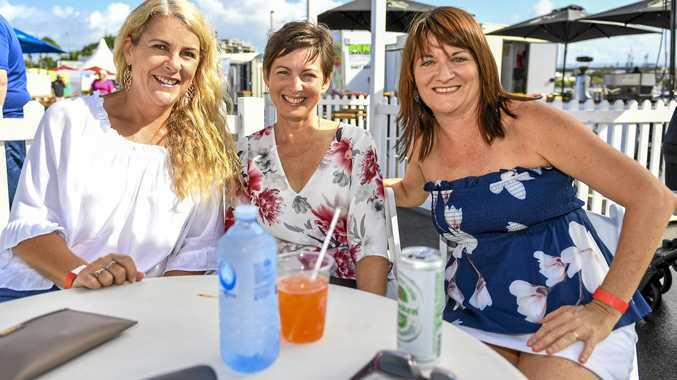 "The trip south to Brisbane went very smoothly with a few days stop-overs in the Sandy Straits as we waited for the south-easterly winds to die down," Marina Hobbs said. The yacht then made its way to Wide Bay Bar on Sunday then a direct sail on to Mooloolaba and Sandgate and arrived in Sandgate at Monday afternoon. Hobbs said there have been no incidents and in fact, pardon the pun, everything has been smooth sailing. The 308 nautical mile race starts on Good Friday at 11.30am in Shorncliffe in Moreton Bay and the first of the boats arrive in the early hours of Easter Saturday. "Preparations for the race have been straightforward, minimising weight, changeover from cruising sails to racing sails, and doing a final check on all halyards, ropes, and gear that may be weight bearing," Hobbs said. With a ridge of high pressure over the Tasman Sea, it looks as though the winds will favour the race. "While still a few days out, the forecast is looking good for a fast race with a steady 20 to 25 knots all the way," Hobbs said. No Problem finished in second place on performance handicap last year and fourth on optical mark reading (OMR). The yacht also won on performance handicap in 2013 and 2016. Hobbs said the race will be anyone's guess. "The Multihull fleet is expecting 12 yachts in the fleet with some stiff competition for handicap honours as always," she said. 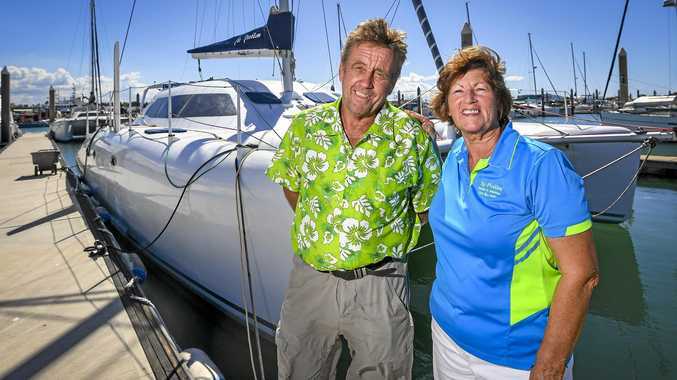 Multihull Yacht Club Queensland commodore Bruce Wieland said a record will be smashed this weekend. "Beau Geste will win line honours and it's the fastest boat in the Southern Hemisphere," he said. "The previous race record is in jeopardy and that was in 2012 where Team Australia did it in 16:28:21 hours. "Team Australia was a similar boat to Beau Gest and Beau Gest is a spectacular boat." The start and finish of the race will be streamed live.